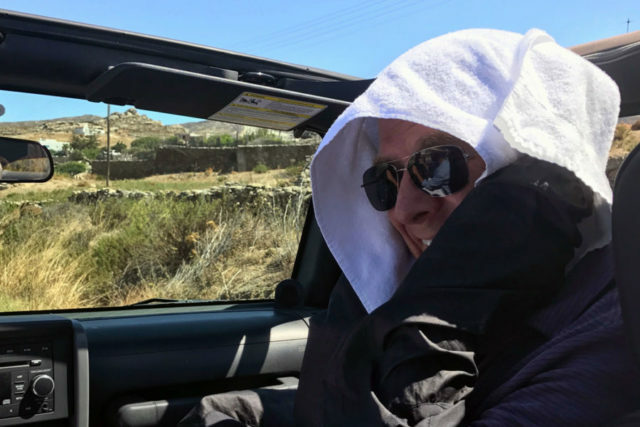 I just wrapped up a shoot for a new show about three Greek islands in the Mediterranean: Rhodes, Santorini, and Mykonos. Here are a few highlights. 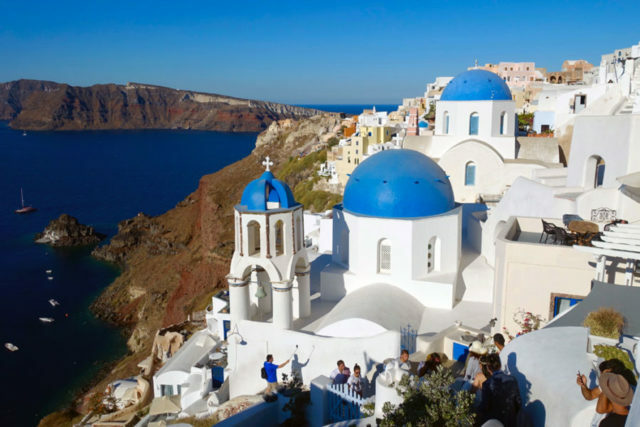 Oia is every shutterbug’s favorite village on Santorini. It’s also a huge hit with Asian brides. 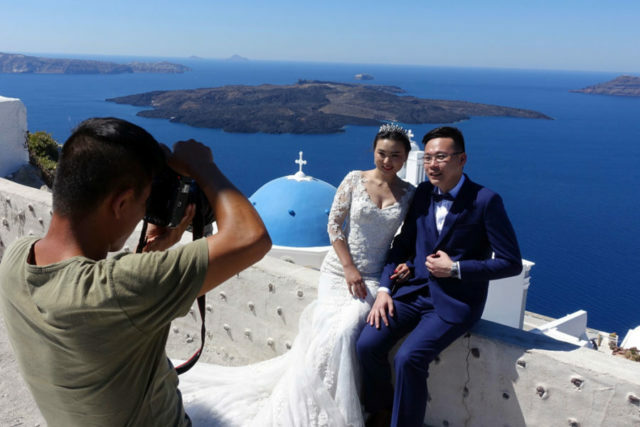 It’s trendy in Asia for couples to fly to Santorini for romantic wedding portraits…months before their wedding. My crew and I must have seen 20 brides and grooms — none of them married yet — getting iconic, Greek Isles wedding shots done for their big day. 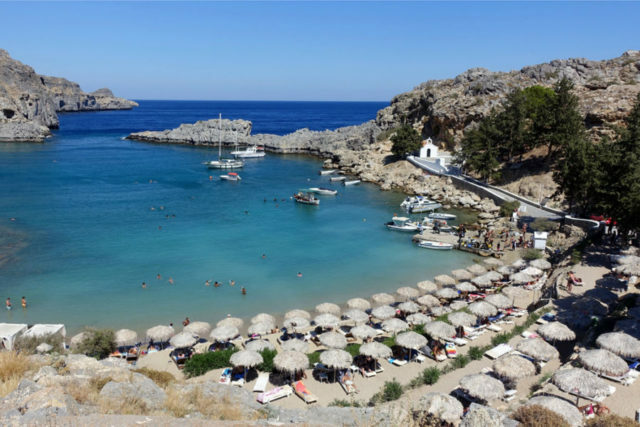 Paradise Beach, on Mykonos, may be the ultimate party beach of the Greek Isles. I spent time there as a student — and I think it’s been thumping ever since. While very youthful at night (and likely less welcoming), during the day I found it enjoyable for people of all ages.